As one of New York's most successful matrimonial trial lawyers, Ellen Holtzman knows that divorce, especially when a child custody dispute is involved, is never easy. Ellen and her extremely competent team understand the tremendous stress that divorce and complex custody cases can create for the family. To help clients see past the stress and focus on a brighter future, they are dedicated to working efficiently and effectively. Since no two cases are ever the same, Ellen always begins by having an extended consultation with each client to elicit his or her goals and concerns. She then starts to develop a strategic plan for achieving those goals, a plan that is tailored to the unique circumstances of the case. Whether at the settlement table or, when necessary, in the courtroom, Ellen Holtzman has a reputation for obtaining favorable outcomes for her clients. While the Law Office of Ellen B. Holtzman is known best for its record of results in high conflict divorce and child custody cases, the firm handles the full range of family law matters. Ellen notes that collaborative divorce can be an excellent option for some families. In a collaborative divorce, each spouse has an attorney to advise and assist during negotiation. If there is custody involved, the couple agrees to put the needs of the children first, and to negotiate the terms of the entire divorce in an atmosphere that remains positive and respectful. "It can be a wonderful alternative to traditional divorce, which often involves court appearances," says Ellen Holtzman. In addition to her thriving family law practice, Ellen is Director of Legal Education for the Washington Square Institute, an innovative interdisciplinary Family Law and Family Forensics Training Program for attorneys, judges, and mental health professionals. 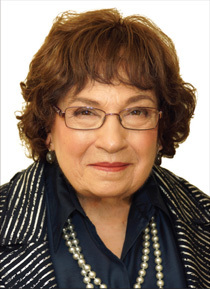 A past president of the Women's Bar Association of the State of New York, Ellen Holtzman currently serves the people of New York as a Commissioner on the New York State Legislative Ethics Commission. The Law Offices of Ellen Holtzman are located in Nanuet, New York, close to major highways such as I-87, I-287, the Garden State Parkway, the Palisades Parkway, and Route 59. The information presented on this website is for general information only and should not be construed to be formal legal advice, nor the formation of a lawyer/client relationship. Any results set forth herein are based upon the facts of that particular case and do not represent a promise or guarantee. Website by Watson Communications. Copyright 2005-2018.